Basic purpose of this term paper is to discuss on Hematopoietic Stem Cell Transplants to Fight Multiple Sclerosis. Hematopoietic stem cell transplant (HSCT) is a process that uses blood-forming stem cells (SC) to deal with patients who have cancer malignancy, blood disorders and serious problems with their immune systems. 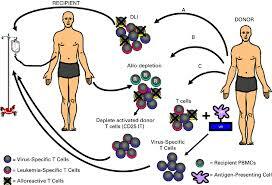 here briefly discuss on how Hematopoietic Stem Cell Transplants works to halt Multiple Sclerosis.